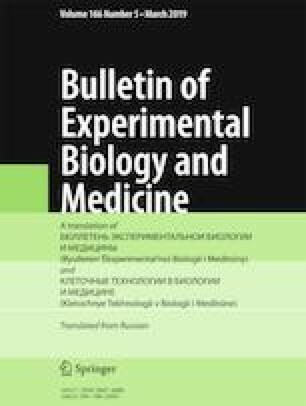 We compared changes in the parameters of LPO—antioxidant defense system at various stages of the stress response in mature male ISIAH rats (hereditary stress-induced arterial hypertension) and WAG rats in 3 h (stage of anxiety) and 7 days (resistance stage) after a 3-h single immobilization in the supine position. It was found that post-stress reactivity of the nonspecific stress-limiting LPO system is different in normotensive and hypertensive rats. ISIAH rats, irrespective of the stage of the stress-reaction, demonstrated more intense LPO reactions (accumulation of TBA-reactive products) and reduced antioxidant defense parameters (low content of lipid-soluble vitamins, increased oxidized glutathione content) in comparison with the corresponding parameters in WAG rats. ISIAH RAT Database [URL: http://icg.nsc.ru/isiah/].